This is the theme for what promises to be an unusual year for SISEE. Most importantly, it is 60 years since our region was founded which we will celebrate throughout the year. Secondly, instead of one president for 2018-19, we have four! Four past regional presidents have joined together to share the role for the year. 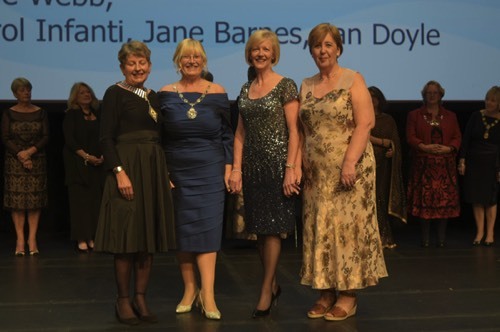 We are Jane Webb, Carol Infanti, Jane Barnes and Jan Doyle. We are sharing the role between us and will continue to theme the meetings on the United Nations Sustainable Development Goals. Jane Webb will lead the December meeting on SDG5 Gender Equality, focusing on survivors of domestic abuse. She will be visiting the Folkestone, Lewes and Medway clubs in the course of the year. Carol follows in March looking at SDG 11, Sustainable Cities and Communities. She will be visiting the clubs in Bromley, Croydon and East Grinstead. Jane Barnes leads on SDG 3, Good Health and Wellbeing, in June. Jane will go to the Maidstone, Sevenoaks and Tunbridge Wells clubs. Jan completes the year with the October AGM when we’ll consider SDG 14, Life below Water. Jan will visit the Ashford, Canterbury, Eastbourne and Thanet clubs. We’ll be in contact with clubs in the New Year to arrange to visit and, in the meantime, do let us know if you are planning any special events which you’d like us to attend. All four presidents believe that we will be “Stronger Together” and we look forward to sharing ideas, goals and responsibilities. We also believe that every Soroptimist and every club is “Stronger Together”. In our experience, clubs which share activities, roles and responsibilities find it easier to develop interesting programme action, shared projects, jointly delivered, and attract new members. We hope that you and your club will consider how you too can be “Stronger Together”. 100 Years of women obtaining the vote. Dr Helen Pankhurst at the Manna cafe in Tunbridge Wells. Download Documents for 2018-2019 competition. 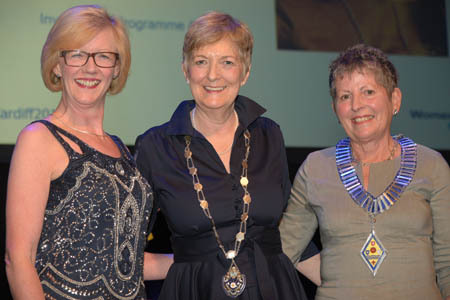 All materials, including text and images, posted on this site are subject to copyrights owned by Soroptimist International of South East England and Andrew Hudson. Any reproduction or retransmission of all or part of any information found on this site is expressly prohibited, unless Soroptimist International of South East England or the copyright owner of the material has granted prior written consent.